Cardiomyopathy is the medical term for a weak heart muscle. With this diagnosis, it is important to find out what is causing it to begin treatment immediately. 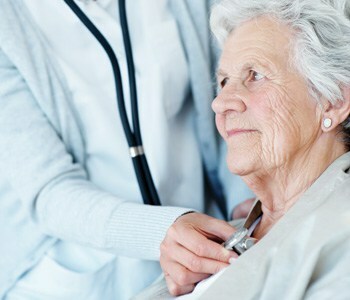 People with cardiomyopathy seek medical attention because they are having trouble breathing, retaining fluid, exercising, extremely fatigued and cannot lie flat easily. Doctors perform an echocardiogram to determine if the heart muscle is weak. If it is, they start tests to determine the cause. leaky, that forces the heart to work much harder. Chemotherapy – Cancer treatments can weaken the heart muscle. Uncontrolled blood pressure – Bad blood pressure forces the heart to work harder. Treatment depends on the cause of the problem. With coronary artery disease, the patient will need either a stent or coronary bypass surgery to open up the artery. If it’s the valve, the patient will need a valve repair or replacement. Nguyen recommends patients with cardiomyopathy undergo cardiac rehabilitation at the Saint Francis Medical Center Heart Hospital, where they also learn about nutrition and heart-healthy lifestyle changes they should make. To make an appointment with Nguyen, call 573-331-3996 or visit his webpage to learn more.